You are here: Home / Leadership for School Administrators / Arrogance in School Leaders: How does it Affect a School District? “I’m working with my people on this, and it’s none of your business.” This comment appeared in a Florida newspaper and came from a school leader in response to citizens who questioned staffing and salary issues in the district as well as many other issues related to the Sunshine Laws in the state of Florida. Clearly the reaction points to a frustrated leader who seems to be confident and a bit arrogant in their decision. Why should this be a bad thing? 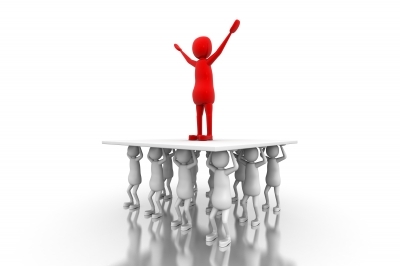 School leaders are entitled to a certain amount of arrogance, right? They worked hard in their profession, gained advanced degrees in their field, and were promoted to positions of authority. School administrators must be confident in their own abilities as they lead their buildings, school district, and community to achieve ambitious learning goals. But herein lays the issue. Confidence and arrogance are two very different things. According to a recent article about arrogance from The Industrial-Organizational Psychologist by Silverman, S., Johnson, R., et al., 2012., confidence and arrogance differ in that confidence is based on reality, experience, and lessons learned, while arrogance is an inflated self-perception of importance and ability. Arrogant leaders engage in behaviors intended to exaggerate their sense of superiority by putting down and dismissing others. They have a persona of omnipotence and invincibility. Leaders who are arrogant are unlikely to seek genuine feedback from their peers or subordinates. This lack of communication shelters leaders from the realities in their organization and obscures their view of reality. It threatens the very structure of how most school districts are governed. It is difficult to imagine a school district that promotes positive relationships and honest feedback from all partners with arrogant individuals in school leadership positions. 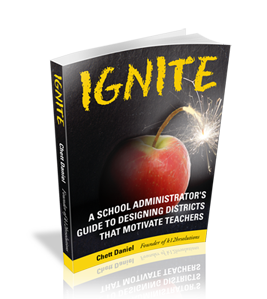 Other indicators of arrogance among district leaders could be a staff that feels alienated, unengaged teachers or principals, and leaders who are overly eager to take personal credit for large group success. Researchers don’t believe these feelings of arrogance come from higher levels of performance compared to peers. It actually appears to be some type of compensation or coping for shortcomings or low self-esteem. They go on to say that arrogant behaviors lead to decreased production among subordinates and create a potentially toxic work environment. By now you can see the detrimental effects of arrogant leaders. A school district is a complex organization that depends on communication and collaboration with community leaders, parents, students, and staff. Clearly one person cannot have all the answers to the challenges and strategies to be effective. An arrogant leader can halt the forward progress of these partnerships. Often great ideas and innovations are ground swell movements that depend on openness and encouragement from superiors. Truly effective leaders collaborate with those they lead. They are multipliers of talent. Arrogant leaders see compromise and humility as weaknesses to be exploited and are often willing to damage relationships to get their way. Many school districts rely on something known as organizational citizenship behaviors (OCBs). These are employee behaviors that are not identified as regular tasks for the position, but contribute to the overall welfare of the organization and generally increase the positive climate in the workplace. As you might expect, arrogant leaders have a negative effect on OCBs. In short, when teachers and staff recognize their leaders are not invested in them, they will not invest themselves in the district. Arrogant behaviors lead to decreased production among subordinates and create a potentially toxic work environment. A suggested method of dealing with arrogance is catching the problem early in a leader’s career or tenure with the district. Leaders should possess humility to combat arrogance. Exercises to increase self-reflection and humility are helpful for existing leaders. If your school district has a selection process for hiring school leaders, consider validating the use of humility as a criterion on your selection procedures. It’s ironic that arrogant leaders tend to see humility as a sign of weakness, when in fact it is a sign of a great leader. District leaders should ensure feedback systems, such as climate surveys, exist to allow teachers and members of the community to share openly regarding their opinions of school leaders. Climate survey questions should attempt to identify arrogant behaviors like the ones mentioned above. The ratings and remarks regarding arrogance should then be incorporated into school leaders’ evaluations. These matters must be approached and framed carefully since arrogant leaders are naturally resistant to feedback that doesn’t align with their own self-views. The problem can be a difficult one to fix but the reward of having leaders that most people support is worth it. When teachers and community members believe their leaders to be humble and open to other points of view, they will see them as more competent, honest, confident, and trustworthy. (I want to conclude by assuring those that read this post, it is not our assumption that most, or even many school leaders are arrogant. The post simply serves to discuss the risks and consequences associated with arrogance in school leaders in an educational setting).